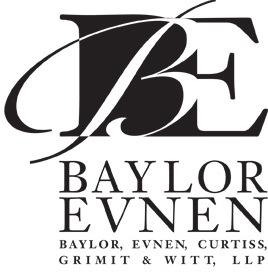 For more than a century, Baylor Evnen attorneys have celebrated a tradition of success for clients. With offices located in Lincoln, Syracuse and Omaha, Baylor Evnen has grown into a broad-based practice specializing in diverse areas of law. Our clients consist of businesses, both large and small, as well as individuals and families. Baylor Evnen attorneys leverage decades of experience as they advise clients on business and commercial law, condemnation, employment, estate planning and probate, family law, litigation, real estate and land use, transportation, and worker’s compensation. To learn more, visit www.BaylorEvnen.com.